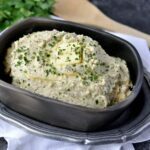 This Keto Herbed Goat Cheese Cauliflower Mash is rich and creamy and doesn’t even need gravy. It is flavorful all on it’s own. It is the perfect low carb side dish. 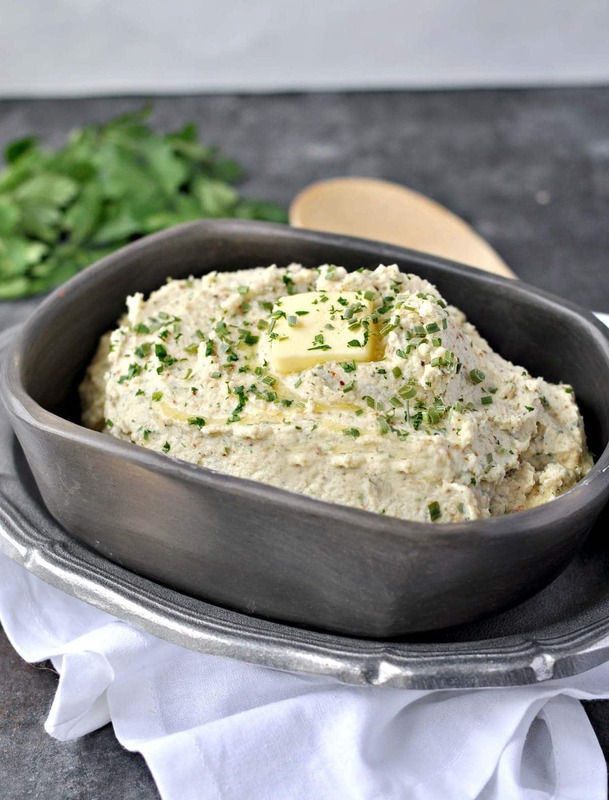 This low carb cauliflower mash makes a great low carb substitution for mashed potatoes. 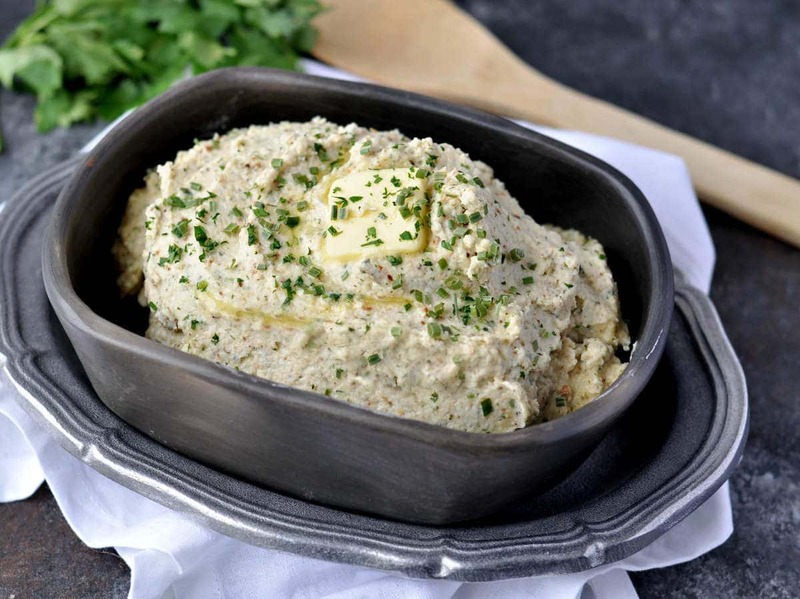 Often times, cauliflower mash can be on the watery side because the cauliflower is typically steamed in water or broth and it can be absorbent like a sponge, holding in the liquid. I like to dry roast my cauliflower with only salt and pepper to prevent this. It makes the cauliflower mash a lot closer to actual potatoes and it really enhances the flavor. Also, roasting the cauliflower on a silicone baking mat makes the clean up a cinch. Depending on the size of the head of cauliflower you use, you may want to add more heavy cream or butter than the recipes calls for. If the cauliflower mash feels too thick, just slowly add additional heavy cream as you puree it until it reaches the desired consistency. Additionally, you can also add chicken stock. Don’t forget to check out some of my other favorite low carb cauliflower recipes and low carb side dish recipes. Core the cauliflower and cut it into florets. Spread the cauliflower in a single layer across the prepared baking sheet. Sprinkle the cauliflower generously with salt and pepper. Roast the cauliflower on the middle rack for 20 to 30 minutes or until it is tender. Combine the roasted cauliflower, goat cheese, Parmesan cheese, heavy cream, sour cream, butter, chives, parsley, dill, garlic, and red pepper flakes, if using, into a food processor. Pulse until smooth and fluffy. Taste, and add additional salt and pepper, if desired. Top with butter and chopped herbs before serving. WOW! Such a unique recipe, looks so beautiful and delicious! Keep innovating! 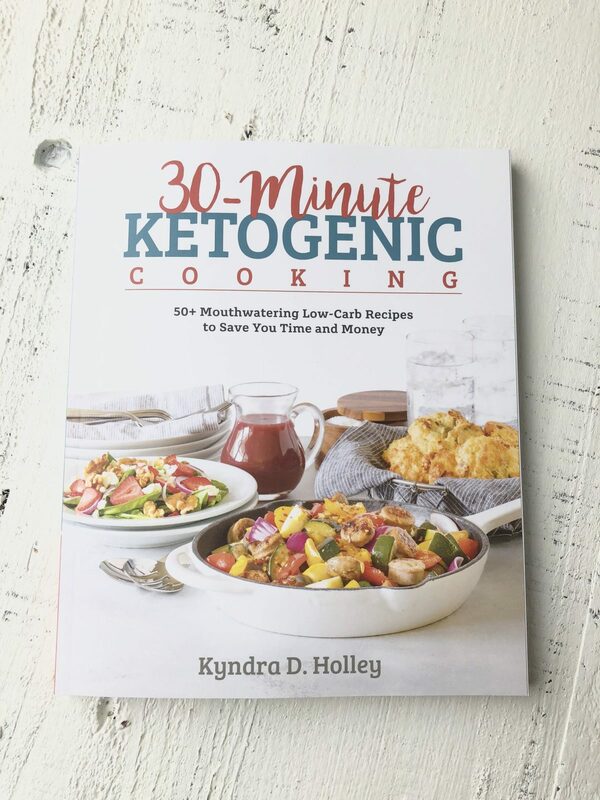 I bought your book “Cravable Keto” and I LOVE it. I make the Lemon Coconut Cheesecake Bites last night and my husband, who does not do Keto and is very picky, loved them. Before I make the mashed cauliflower, I have a quick question. Do they taste a lot like cauliflower? I do not like the taste of “cooked cauliflower”, only raw. I did Atkins years ago and a friend of mine made some mashed cauliflower that had no cauliflower taste at all. But she can’t find the recipe she used. Can you offer advice? I sure would appreciate it. Thank you for writing these books. 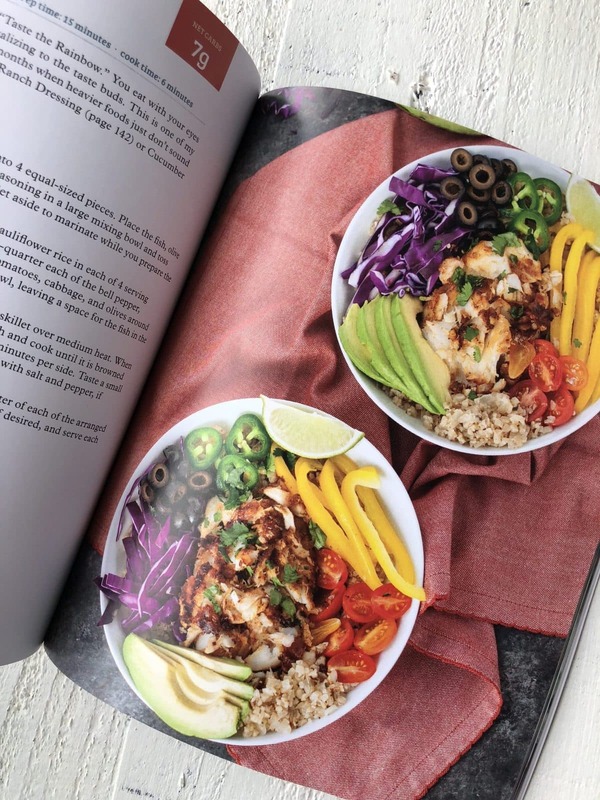 There are so many recipe books out there but they do not give recipes for day to day cooking like yours does. THANK YOU, THANK YOU, THANK YOU! This sounds delicious! I’m considering making this as one of my thanksgiving side dishes. Do you this it would freeze well if I were to prepare it in advance? This recipe was AMAZING! Thank you. We made your pork chops, too. The book is awesome. Everything I have tried from it has been wonderful.